Just 20 minutes south of Cincinnati, Oh! local trade, Magnum 3.7L V6, 4WD, 16 x 7.0 Styled Steel Wheels, Air Conditioning, AM/FM Compact Disc w/Changer Control, CD player, Cloth 40/20/40 Split Bench Seat, Delay-off headlights, Driver door bin, Power steering, Rear step bumper. 2006 Dodge Dakota Club Cab Mineral Gray Metallic Clearcoat Magnum 3.7L V6 4-Speed Automatic 4WD This vehicle is sold AS-IS. Just 20 minutes south of Cincinnati, Oh! Clean CARFAX. local trade, Includes Lifetime Powertrain Protection, 200 LX, FWD, 17" Wheel Covers, 4-Wheel Disc Brakes, ABS brakes, CD player, Delay-off headlights, Four wheel independent suspension, Heated door mirrors, Illuminated entry, Outside temperature display, Panic alarm, Power door mirrors, Premium Cloth Bucket Seats, Radio: Uconnect 130 AM/FM/CD/MP3, Rear window defroster, Remote keyless entry, Steering wheel mounted audio controls, Telescoping steering wheel, Tilt steering wheel. 2014 Chrysler 200 4D Sedan Cashmere 2.4L 4-Cylinder SMPI DOHC 4-Speed Automatic VLP FWD At these low upfront prices our vehicles sell fast! Call 859-824-3300 to confirm vehicle is still in stock! Just 20 minutes south of Cincinnati, Oh! CARFAX One-Owner. Clean CARFAX. local trade, 4D Sport Utility, 4WD, dark slate gray dark saddle Leather, 18" x 7.0" Aluminum Chrome Clad Wheels, AM/FM radio: SIRIUS, Audio Jack Input for Mobile Devices, Auto-dimming Rear-View mirror, Black Roof Molding, Electronic Stability Control, Front fog lights, Fully automatic headlights, Garage door transmitter, Heated door mirrors, Heated front seats, Illuminated entry, Leather Trimmed Bucket Seats, Memory seat, Panic alarm, Power door mirrors, Power driver seat, Power passenger seat, Radio: Media Center 130 CD/MP3, Rear window defroster, Remote keyless entry, Sky Slider Full Open Roof, Steering wheel mounted audio controls, Tilt steering wheel, Tire & Wheel Group. 2012 Jeep Liberty 4D Sport Utility Bright White PowerTech 3.7L V6 4-Speed Automatic VLP 4WD At these low upfront prices our vehicles sell fast! Call 859-824-3300 to confirm vehicle is still in stock! Just 20 minutes south of Cincinnati, Oh! local trade, Cummins 600 5.9L I6 DI 24V High-Output Turbodiesel, 4WD, 4 Speakers, ABS brakes, Air Close Out Front Panel, Air Conditioning, AM/FM radio, Dual rear wheels, Electronically Controlled Throttle, EVAP Control System, Front Center Armrest, Next Generation Engine Controller, Power steering, Rear step bumper, Speed-Sensitive Wipers, Tilt steering wheel. 2004 Dodge Ram 3500 4D Extended Cab Black Cummins 600 5.9L I6 DI 24V High-Output Turbodiesel 4-Speed Automatic 4WD This vehicle is sold AS-IS. Just 20 minutes south of Cincinnati, Oh! Recent Arrival! CARFAX One-Owner. Clean CARFAX. Certified. local trade, Includes Lifetime Powertrain Protection, CERTIFIED, Journey AVP, 4D Sport Utility, Blue Streak, 17" x 6.5" Steel Wheels, 4.3" Touch Screen Display, Audio Jack Input for Mobile Devices, Brake assist, CD player, Front dual zone A/C, Heated door mirrors, Illuminated entry, Outside temperature display, Panic alarm, Passenger door bin, Power door mirrors, Power windows, Premium Cloth Low-Back Bucket Seats, Quick Order Package 22D American Value Package, Radio: Uconnect 4.3 AM/FM/CD/MP3, Rear reading lights, Rear window defroster, Remote keyless entry, Remote USB Port, Steering wheel mounted audio controls, Telescoping steering wheel, Tilt steering wheel. Odometer is 22654 miles below market average! FCA US Certified Pre-Owned Details: * 125 Point Inspection * Vehicle History * Limited Warranty: 3 Month/3,000 Mile (whichever comes first) after new car warranty expires or from certified purchase date * Includes First Day Rental, Car Rental Allowance, and Trip Interruption Benefits * Transferable Warranty * Warranty Deductible: $100 * Powertrain Limited Warranty: 84 Month/100,000 Mile (whichever comes first) from original in-service date * Roadside Assistance 2015 Dodge Journey 4D Sport Utility Blue Streak 2.4L I4 DOHC 16V Dual VVT 4-Speed Automatic VLP FWD At these low upfront prices our vehicles sell fast! Call 859-824-3300 to confirm vehicle is still in stock! Just 20 minutes south of Cincinnati, Oh! Clean CARFAX. local trade, 4WD, 17" x 7" Aluminum Wheels, Auxiliary Transmission Oil Cooler, Brake assist, Cloth Low-Back Bucket Seats, Compass, Deep Tint Sunscreen Glass, Delay-off headlights, Gloss Black Roof Rails, Illuminated entry, Outside temperature display, Panic alarm, ParkView Rear Back-Up Camera, Power door mirrors, Power windows, Quick Order Package 24A, Radio: Uconnect 5.0, Rear window defroster, Remote keyless entry, Sport Appearance Plus, Telescoping steering wheel, Tilt steering wheel. 2016 Jeep Cherokee 4D Sport Utility Light Brownstone Pearlcoat 2.4L 4-Cylinder SMPI SOHC 9-Speed 948TE Automatic 4WD At these low upfront prices our vehicles sell fast! Call 859-824-3300 to confirm vehicle is still in stock! Just 20 minutes south of Cincinnati, Oh! Clean CARFAX. local trade, Includes Lifetime Powertrain Protection, Patriot High Altitude, 4WD, dark slate gray Leather, 17" x 6.5" Aluminum Wheels, Auto-dimming Rear-View mirror, Body Color Fascias w/Bright Insert, Electronic Stability Control, Four wheel independent suspension, Front fog lights, Fully automatic headlights, Heated door mirrors, Heated front seats, Leather Trimmed Bucket Seats, Outside temperature display, Panic alarm, Power door mirrors, Power Express Open/Close Sunroof, Quick Order Package 23G High Altitude Edition, Radio: 130, Rear window defroster, Remote keyless entry, SIRIUS Satellite Radio, Speed control, Steering wheel mounted audio controls, Tilt steering wheel. 2016 Jeep Patriot 4D Sport Utility Black Clearcoat 2.4L I4 DOHC 16V Dual VVT 6-Speed Automatic 4WD At these low upfront prices our vehicles sell fast! Call 859-824-3300 to confirm vehicle is still in stock! Just 20 minutes south of Cincinnati, Oh! CARFAX One-Owner. Clean CARFAX. 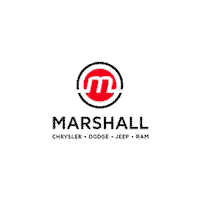 local trade, 4D Crew Cab, HEMI 5.7L V8 Multi Displacement VVT, 4WD, 20" x 8" Aluminum Wheels, Air Conditioning, Alloy wheels, AM/FM CD MP3 Radio, AM/FM radio: SIRIUS, Big Horn Regional Package, Bumpers: chrome, Class IV Receiver Hitch, Electronic Stability Control, Fog Lamps, Fully automatic headlights, Halogen Quad Headlamps, Heated door mirrors, Illuminated entry, Light Group, Next Generation Engine Controller, Outside temperature display, Panic alarm, Power door mirrors, Power windows, Quick Order Package 25G SLT, RamBox Cargo Management System, Remote keyless entry, Speed control, Tilt steering wheel, Tip Start. Odometer is 6785 miles below market average! 2009 Dodge Ram 1500 4D Crew Cab Mineral Gray Metallic HEMI 5.7L V8 Multi Displacement VVT 5-Speed Automatic 4WD At these low upfront prices our vehicles sell fast! Call 859-824-3300 to confirm vehicle is still in stock! Just 20 minutes south of Cincinnati, Oh! CARFAX One-Owner. Certified. Includes Lifetime Powertrain Protection, Must finance through dealer approved bank to qualify for special internet price, 3.6L 6-Cylinder SMPI DOHC, 20" x 8.0" Polished Aluminum Wheels, AM/FM radio: SiriusXM, Auto-dimming door mirrors, Auto-dimming Rear-View mirror, Automatic temperature control, Brake assist, Front dual zone A/C, Front fog lights, Garage door transmitter, Heated door mirrors, Heated front seats, Heated rear seats, Heated steering wheel, Memory seat, Outside temperature display, Panic alarm, Power door mirrors, Power driver seat, Power passenger seat, Quick Order Package 22T Limited, Radio: Uconnect 4C w/8.4" Display, Rear window defroster, Remote keyless entry, Steering wheel memory, Steering wheel mounted audio controls, Telescoping steering wheel, Tilt steering wheel, Ventilated front seats. Chrysler Details: * Warranty Deductible: $100 * Includes First Day Rental, Car Rental Allowance, and Trip Interruption Benefits * Transferable Warranty * Powertrain Limited Warranty: 84 Month/100,000 Mile (whichever comes first) from original in-service date * 125 Point Inspection * Roadside Assistance * Limited Warranty: 3 Month/3,000 Mile (whichever comes first) after new car warranty expires or from certified purchase date * Vehicle History 2018 Chrysler 300 4D Sedan Ceramic White 3.6L 6-Cylinder SMPI DOHC 8-Speed Automatic RWD At these low upfront prices our vehicles sell fast! Call 859-824-3300 to confirm vehicle is still in stock! Just 20 minutes south of Cincinnati, Oh! Clean CARFAX. Certified. local trade, Includes Lifetime Powertrain Protection, Cherokee Latitude, 3.2L V6, 4WD, 9 Amplified Speakers w/Subwoofer, Alloy wheels, All-Season Floor Mats, Auxiliary Transmission Oil Cooler, Blind Spot & Cross Path Detection, Cold Weather Group, Engine Block Heater, Exterior Mirrors Courtesy Lamps, Exterior Mirrors w/Heating Element, Exterior Mirrors w/Supplemental Signals, Front fog lights, Fully automatic headlights, Heated Front Seats, Heated Steering Wheel, Integrated Voice Command w/Bluetooth, Outside temperature display, Panic alarm, ParkSense Rear Park Assist System, Power 4-Way Driver Lumbar Adjust, Power 8-Way Driver Seat, Power Heated Mirrors, Power Multi-Function Fold Away Mirrors, Quick Order Package 26J, Radio: Uconnect 5.0, Rear window defroster, Safety/Convenience Group, Steering wheel mounted audio controls, Telescoping steering wheel, Tilt steering wheel, Windshield Wiper De-Icer. Odometer is 2660 miles below market average! FCA US Certified Pre-Owned Details: * Transferable Warranty * Includes First Day Rental, Car Rental Allowance, and Trip Interruption Benefits * Limited Warranty: 3 Month/3,000 Mile (whichever comes first) after new car warranty expires or from certified purchase date * Roadside Assistance * Warranty Deductible: $100 * 125 Point Inspection * Powertrain Limited Warranty: 84 Month/100,000 Mile (whichever comes first) from original in-service date * Vehicle History 2016 Jeep Cherokee 4D Sport Utility Bright White Clearcoat 3.2L V6 9-Speed 948TE Automatic 4WD At these low upfront prices our vehicles sell fast! Call 859-824-3300 to confirm vehicle is still in stock! Just 20 minutes south of Cincinnati, Oh! CARFAX One-Owner. Certified. Includes Lifetime Powertrain Protection, 300 S, black Leather, 4 Wheel Independent Suspension Performance, 8.4" Touchscreen Display, Automatic temperature control, Brake assist, Front dual zone A/C, Front fog lights, Fully automatic headlights, Garage door transmitter, Heated door mirrors, Heated front seats, Integrated Voice Command w/Bluetooth, Leather Trimmed Sport Bucket Seats, Media Hub (SD, USB, AUX), Outside temperature display, Panic alarm, Power door mirrors, Power driver seat, Power passenger seat, Quick Order Package 22G, Radio: Uconnect 8.4, Rear window defroster, Remote keyless entry, Security system, SiriusXM Satellite Radio, Speed control, Steering wheel mounted audio controls, Telescoping steering wheel, Tilt steering wheel, Uconnect Access, Wheels: 20" x 8.0" Aluminum HyperBlack. FCA US Certified Pre-Owned Details: * Transferable Warranty * Powertrain Limited Warranty: 84 Month/100,000 Mile (whichever comes first) from original in-service date * Warranty Deductible: $100 * Vehicle History * 125 Point Inspection * Limited Warranty: 3 Month/3,000 Mile (whichever comes first) after new car warranty expires or from certified purchase date * Includes First Day Rental, Car Rental Allowance, and Trip Interruption Benefits * Roadside Assistance 2016 Chrysler 300 4D Sedan Gloss Black 3.6L 6-Cylinder SMPI DOHC 8-Speed Automatic RWD At these low upfront prices our vehicles sell fast! Call 859-824-3300 to confirm vehicle is still in stock! Just 20 minutes south of Cincinnati, Oh! CARFAX One-Owner. Certified. Includes Lifetime Powertrain Protection, 300 Limited, 3.6L 6-Cylinder SMPI DOHC, AWD, Black Leather, 19" x 7.5" Polished Aluminum Wheels, AM/FM radio: SiriusXM, Audio memory, Auto-dimming door mirrors, Auto-dimming Rear-View mirror, Automatic temperature control, Brake assist, Front dual zone A/C, Front fog lights, Fully automatic headlights, Garage door transmitter, Heated door mirrors, Heated front seats, Heated rear seats, Illuminated entry, Memory seat, Outside temperature display, Panic alarm, Power door mirrors, Power driver seat, Power passenger seat, Quick Order Package 22T Limited, Radio: Uconnect 4C w/8.4" Display, Rear window defroster, Steering wheel memory, Steering wheel mounted audio controls, Telescoping steering wheel, Tilt steering wheel, Ventilated front seats. FCA US Certified Pre-Owned Details: * Warranty Deductible: $100 * Roadside Assistance * 125 Point Inspection * Limited Warranty: 3 Month/3,000 Mile (whichever comes first) after new car warranty expires or from certified purchase date * Transferable Warranty * Vehicle History * Includes First Day Rental, Car Rental Allowance, and Trip Interruption Benefits * Powertrain Limited Warranty: 84 Month/100,000 Mile (whichever comes first) from original in-service date 2018 Chrysler 300 4D Sedan Gloss Black 3.6L 6-Cylinder SMPI DOHC 8-Speed Automatic AWD At these low upfront prices our vehicles sell fast! Call 859-824-3300 to confirm vehicle is still in stock! Just 20 minutes south of Cincinnati, Oh! local trade, AWD, 3rd row seats: split-bench, 8.4" Touchscreen Display, Alloy wheels, AM/FM radio: SiriusXM, Automatic temperature control, Brake assist, Exterior Parking Camera Rear, Front dual zone A/C, Front fog lights, Fully automatic headlights, Heated door mirrors, Heated front seats, Heated rear seats, Heated steering wheel, Integrated Voice Command w/Bluetooth, Leather Trimmed Bucket Seats, Memory seat, Outside temperature display, Panic alarm, Power door mirrors, Power driver seat, Power windows, Quick Order Package 23E, Radio: Uconnect 8.4, Rear air conditioning, Rear Parking Sensors, Rear window defroster, Remote keyless entry, Roadside Assistance & 9-1-1 Call, Steering wheel mounted audio controls, Telescoping steering wheel, Tilt steering wheel, Uconnect Voice Command w/Bluetooth. 2015 Dodge Durango 4D Sport Utility billet silver metallic clearcoat 3.6L V6 Flex Fuel 24V VVT 8-Speed Automatic AWD At these low upfront prices our vehicles sell fast! Call 859-824-3300 to confirm vehicle is still in stock! Just 20 minutes south of Cincinnati, Oh! CARFAX One-Owner. Clean CARFAX. Certified. Includes Lifetime Powertrain Protection, CERTIFIED, Must finance through dealer approved bank to qualify for special internet price, 6 Speakers, Electronic Stability Control, Fully automatic headlights, Heated door mirrors, Illuminated entry, Integrated Voice Command w/Bluetooth, Outside temperature display, Panic alarm, Power door mirrors, Power windows, Rear Power Sliding Window, Remote keyless entry, SiriusXM Satellite Radio, Tilt steering wheel. 2018 Ram 1500 4D Extended Cab True Blue 3.6L V6 24V VVT 8-Speed Automatic 4WD At these low upfront prices our vehicles sell fast! Call 859-824-3300 to confirm vehicle is still in stock!